The Colony at Pelican Landing is an enclave of luxurious custom estate homes, villas, and tower residences situated off of Coconut Road. 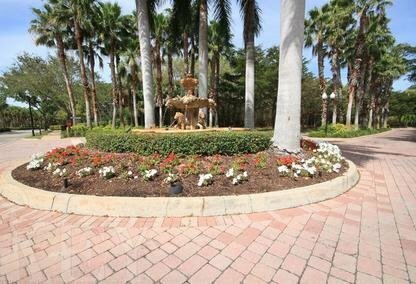 This gated community enjoys an upscale Mediterranean influence with Tuscan style fountains & brick paved streets. Properties for sale in this community attract buyers interested in the finest level of finish and detail offered in Estero estate homes or luxury waterfront condominiums. Amenities include a resident/members only 18 hole golf course. Get connected with Key Real Estate today for access to our state-of-the-art search tools and the ability to setup alerts for all The Colony at Pelican Landing homes real estate. Discover the difference that Key Real Estate can make for you! 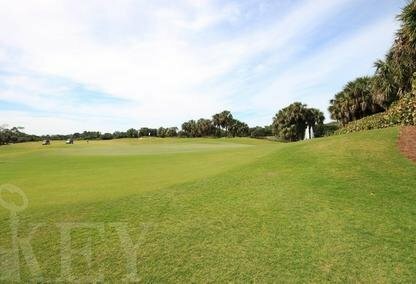 One of the most sought-after communities in all of Southwest Florida, The Colony at Pelican Landing encompasses 2,365 acres of gorgeous natural landscape on Estero Bay. Catering to a range of homeowners, this exclusive community is notable for the sheer variety of properties available. The Colony at Pelican Landing real estate includes custom built estate homes, Mediterranean-inspired ranches, and luxury condominiums and townhouses near the water. What all The Colony at Pelican Landing homes have in common, though, are designs that enhance the enchanting, beachy lifestyle that this region is so famous for. For above $1,000,000, you'll find upscale luxury estates and brand new family homes featuring expansive square footage on prime lots. Built for the most discerning of homebuyers, these homes include features like home automation systems, outdoor kitchens, cathedral ceilings, Chef's kitchens, wet bars, and temperature controlled wine cellars. They're designed for truly successful people who're either looking to settle down in the paradise of Southwest Florida or are just on the market for a truly idyllic vacation home. Even among the relatively elegant homes you'll find on the Southwest Florida real estate market, The Colony at Pelican Landing stands out. Life at The Colony at Pelican Landing is designed to be both exciting and comfortable. And you can see these two goals reflected not only in the many amenities available to guests but with each decision made when it came to building these homes and designing their interiors. Big windows let in the sunlight, swimming pools let you cool off, and breakfast bars are perfect for reading the newspaper or a good book. Residents looking to live in a golfer's paradise also have the option of membership in the Pelican's Nest Golf Club. This award-winning club includes access to two courses designed by legendary architect Tom Fazio. Named the Gator and The Hurricane, they both embrace and enhance the natural wonder of Southwest Florida while providing challenge and fun for professionals and amateurs alike. The 45,000 square foot clubhouse also houses two private dining rooms, including fine dining and more casual experiences at The Thirsty Pelican Grill Room. Perhaps the best thing about The Colony at Pelican Bay real estate is that, despite its gorgeous location on Estero Bay, it's very easy to travel around Southwest Florida and the rest of the region using Tamiami Trail or Interstate 75. The Colony at Pelican Bay is particularly close to Coconut Point shopping mall, which includes over 140 convenient retailers like Bed Bath & Beyond, Best Buy, J. Crew, Men's Wearhouse, Target, and T.J. Maxx. Located just north of Naples in Bonita Spring, The Colony at Pelican Bay is just around the corner from Estero, Fort Myers, and the rest of Southwest Florida too. Get in touch with Key Real Estate today for local guidance on all Southwest Florida homes for sale, from The Colony at Pelican Bay to anywhere else you picture yourself living. We're here to help.